Bess and Halland live in a small town, where everyone knows everyone else. 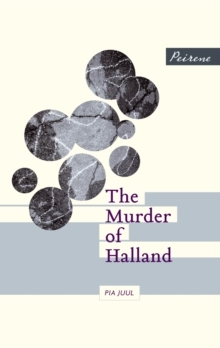 When Halland is found murdered in the main square the police encounter only riddles. For Bess bereavement marks the start of a journey that leads her to a reassessment of first friends, then family. ------- Why Peirene chose to publish this book: 'If you like crime you won't be disappointed. The book has all the right ingredients. A murder, a gun, an inspector, suspense. But the story strays far beyond the whodunit norm. In beautifully stark language Pia Juul manages to chart the phases of bereavement.